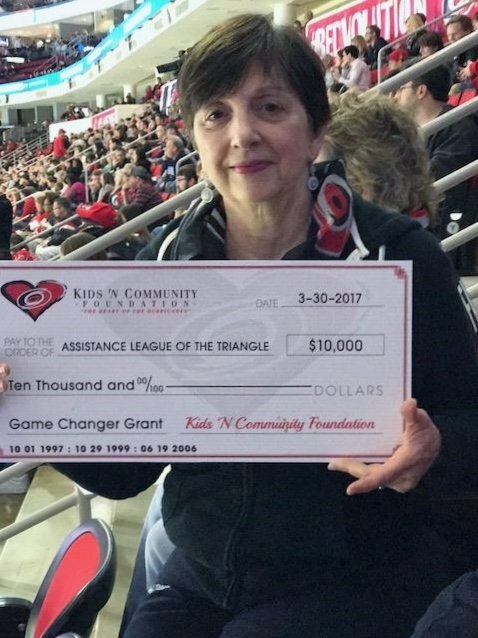 Assistance League of the Triangle Area received the Game Changer Grant of $10,000 from the Carolina Hurricanes Kids ‘N Community Foundation. The funds were used in the Operation School Bell® program to provide new clothing and shoes to children in need. With these funds, the program is able to increase assistance to the growing homeless population in our community. 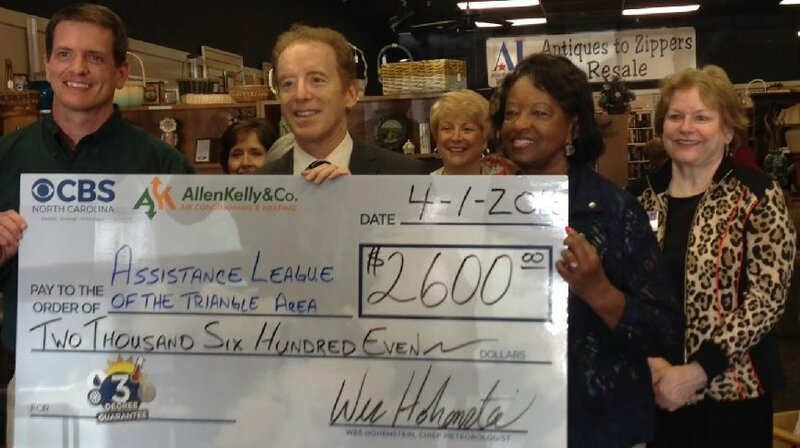 Assistance League of the Triangle Area was the recipient of $2,600 for the 3 Degree Guarantee from WNCN and Allen Kelly & Co. for the forecast accuracy in the month of March. The funds allow the organization to continue to improve the lives of women, children and families in our community.